Yes, more starts. 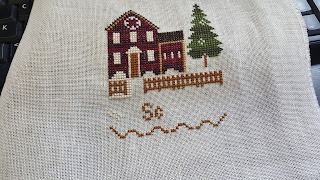 As I said last week, I was on a roll with smaller starts, and I'd like these stitched these up for cube finishes so I can have something like a Christmas village on the bookcase wall in my living room. 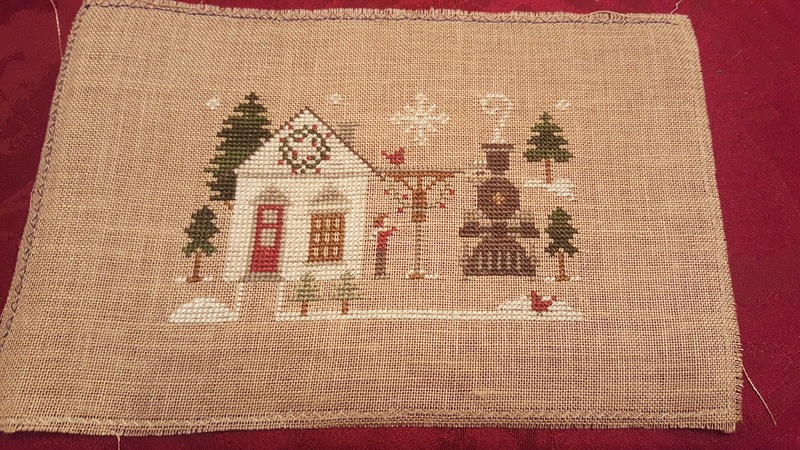 This is 'My House' from the Hometown Holiday series by Little House Needleworks. I'm nearly done; just some snow, a few hearts, a bit of decoration, and the rest of my name. 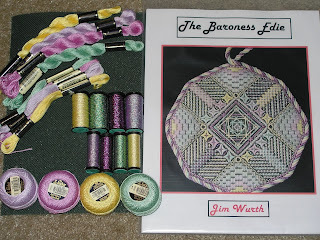 I will likely put it down for the weekend to work on The Baroness Edie since I need the stand to work on the needlepoint, it's not fun to pack up and travel with, so I avoid it when possible. 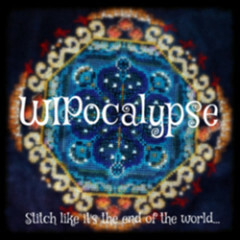 I didn't have enough WIP's lurking around the house, I've started another. This is one of the last 2 dodecagons of the 8 I purchased, I moved in the midst of the rollout and missed the last 4 in the confusion of a cross country move. Spring pastels on green for this one is a bit like Czarina in color but happily a bit less layering until I get to the center. Also, I'm happy to see this one does not include Flair. 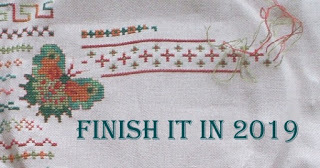 It makes a great look on the finished project, but oh it is a test to stitch with.